Subscription boxes are some of my favorite ways to discover new products. Peaches and Petals is a lifestyle subscription box that features a great assortment of products for your home, wardrobe and beauty routine. July's box is all about helping you get things done. I definitely need all the help I can get lately. Let's take a closer look at this month's box. 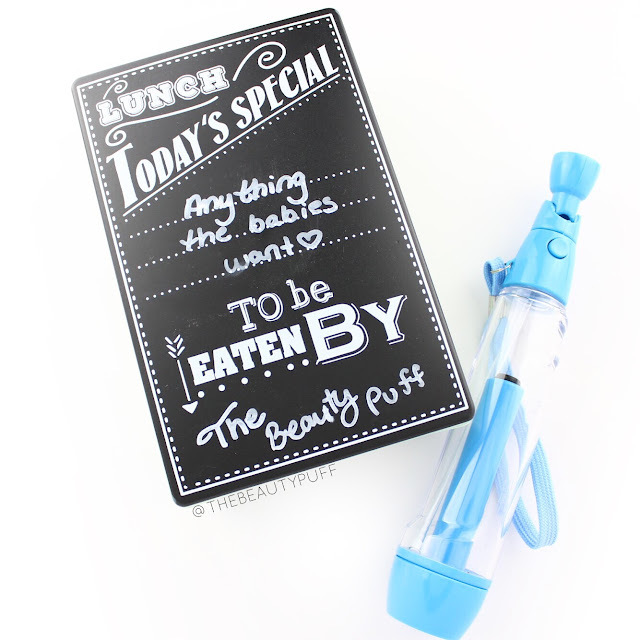 Chalkboard Lunch Container | This convenient container comes with a marker to write its contents so you'll know whose lunch is in it and what's on the menu. The writing comes off with a damp cloth so it can be used over and over. Personal Water Mister | Need a refreshing pick-me-up midday? This water mister can be refilled with water for a hydrating boost wherever you go. It's perfect for summertime, particularly when you're outdoors! It even has a handle so you can clip it to your bag or hang it up within reach. 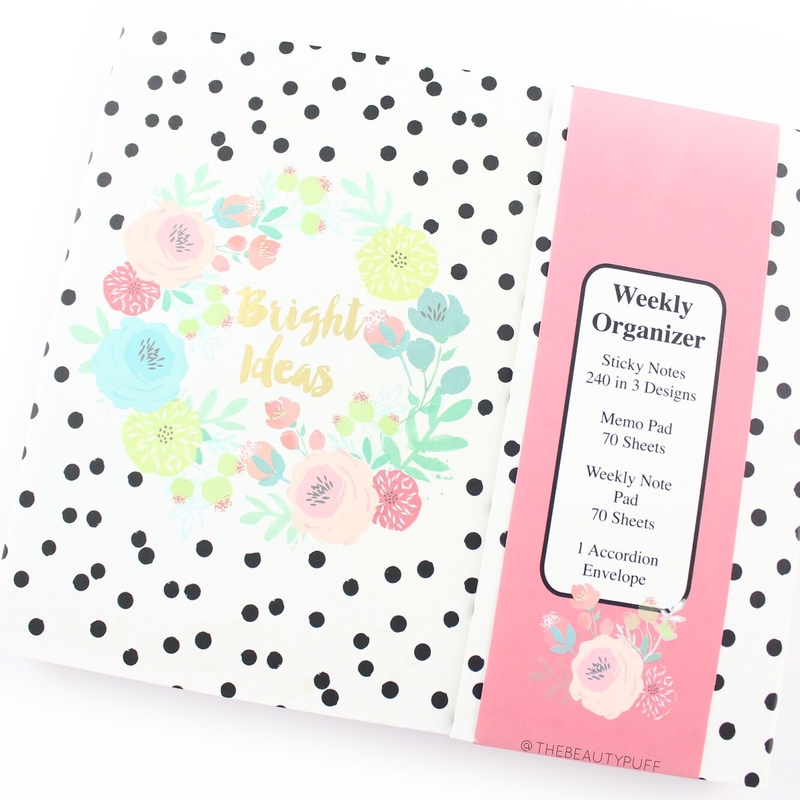 Weekly Organizer | Peaches and Petals read my mind with this one! 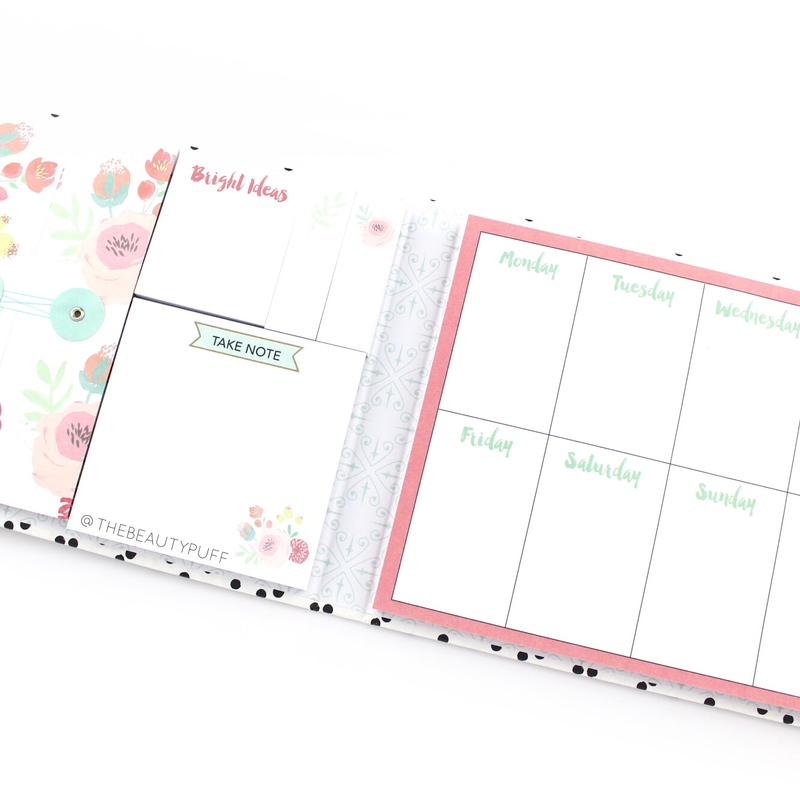 This all-in-one organizer has 240 sticky notes, a 70 sheet memo pad, 70 sheet weekly note pad and an accordion envelope to keep papers organized. I write a ton of notes lately because I can't remember anything.. so this will be used constantly! I also love how everything fits neatly together with a magnetic closure. 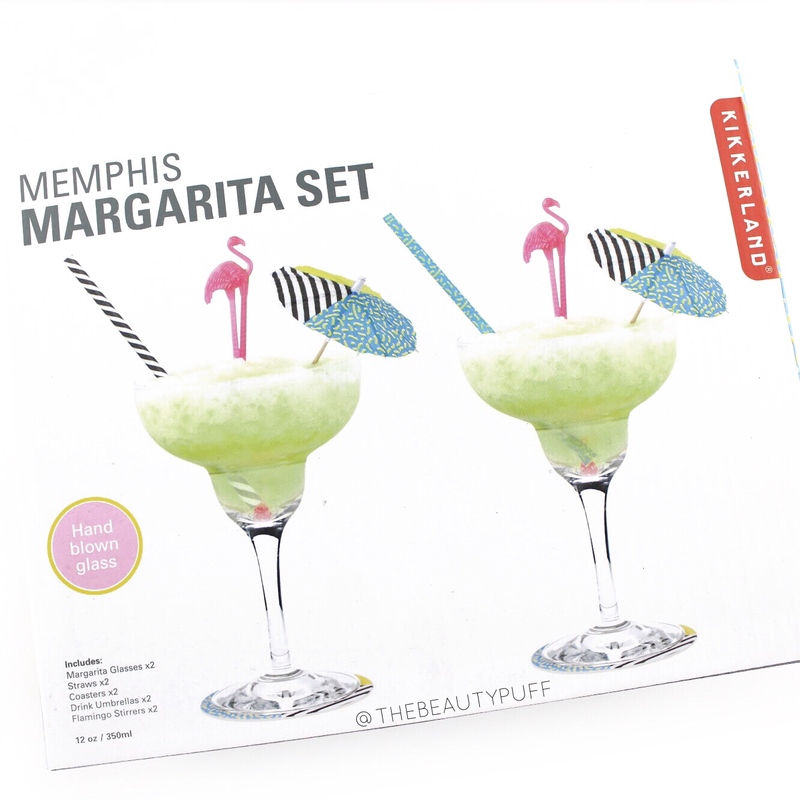 Margarita Set | When the end of a long productive week comes, there's nothing like relaxing with a cool drink. In my case, non-alcoholic! But this set is really adorable. It comes with two margarita glasses, 2 straws, 2 coasters, 2 drink umbrellas, and 2 flamingo stirrers. The theme is very summery and perfect for drinks for two at the end of a long day.